Gopher Protocol Inc. (OTCQB: GOPH) ("Gopher"), a development-stage company which specializes in the creation of Internet of Things (IoT) and Artificial Intelligence (AI) enabled mobile technologies, is preparing for the official launch of its Indiegogo campaign for the firm's proprietary pet tracking device. As announced on December 21, 2017, Gopher’s manufacturer — VQ GLOBAL USA, Inc. — commenced design of three models which include the Orb Sphere shape — Mobile Unit, Portable Gateway and the Static Gateway Unit — Single Channel. Construction drawings including schematic diagram of the three models, as well as the specification of the products, features and accessory with packing underway. This begins Gopher’s efforts toward Horizon 2020. Horizon 2020 is a Gopher initiative to enable the communication industry with GopherInsight, a proprietary self-learning private and secure network. 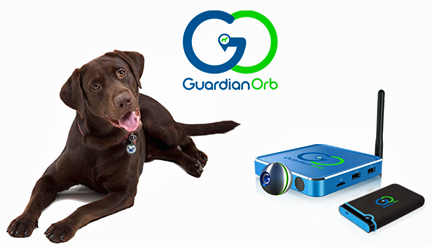 Subject to raising the appropriate level of capital and engaging additional personnel, the first step includes the launch of the Guardian Orb, initially through presales on Indiegogo, followed by Internet sales. Once the initial production is complete, Gopher intends to begin selling the Guardian Orb through its 15,000+/- convenience store locations operating under the Gopher’s wholly owned subsidiary, UGopherServices. UGopherServices, a wholly owned subsidiary of Gopher, has established UGO HUB, a network of 15,000+/- locations that provide top prepaid and traditional financial services as well as products and accessories to consumers — average weekly foot traffic is estimated at 2,000 per week. In addition,the goal of Gopher is to install base stations in these locations to create significant coverage in the southeastern part of the United States — the crowdfunding campaign commenced on Tuesday, January 30, 2018.